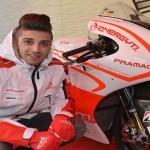 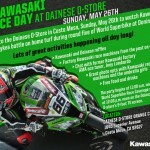 The newest Dainese D-Store to open is located in Santa Monica, CA. 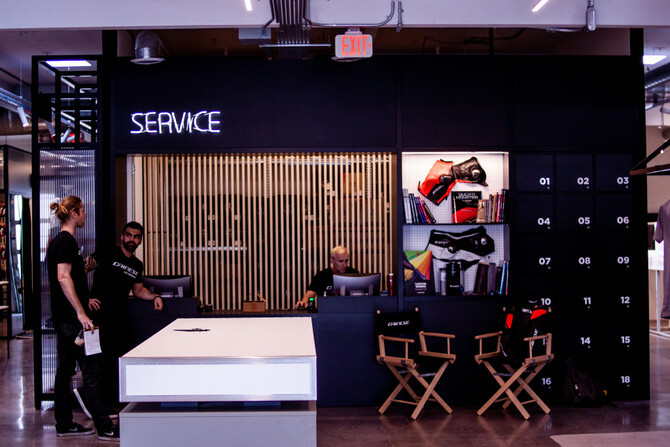 The design of the Dainese Store Los Angeles is a minimalist approach that features raw materials, and the “room in a room” concept becomes the focus of attention for special projects and storytelling. The brand’s fully redesigned retail concept, developed for Dainese by architect Renato Montagner, speaks to all riding styles: racing, street, touring, urban and lifestyle. 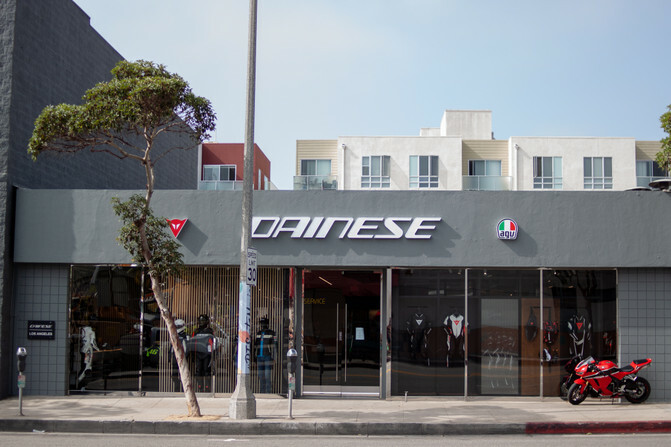 The Dainese Store Los Angeles is the 10th location worldwide to feature the new retail approach, offering customers full immersion in the rich heritage of the Dainese and AGV brands. 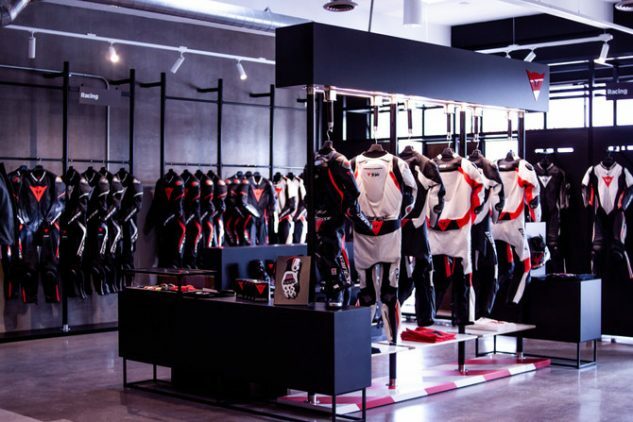 In addition to offering the wide product lines of Dainese and AGV, the concept store showcases a dissected Valentino Rossi suit that shows off the nearly 360 pieces that make up a Dainese Moto GP racing suit. 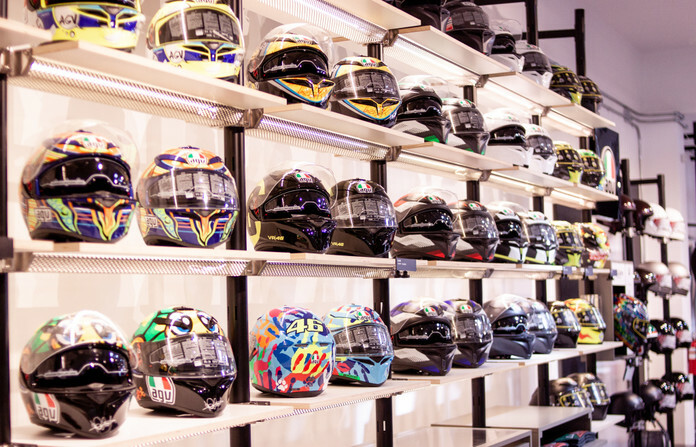 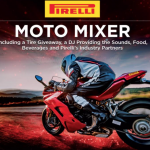 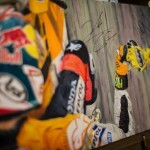 Other highlights include the store’s Custom Works program, offering a made-to-measure experience for riders to design and customize their dream leathers. 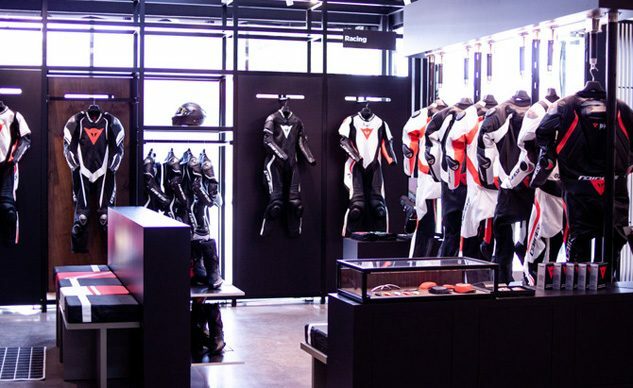 Dainese Settantadue, a new brand that resurrects the history of motorcycle clothing in the glory years and gives it a contemporary heritage twist, with garments that combine elegance and technical solutions that meet today’s safety requirements, is currently featured in the room-in-a-room area. Racing suits and jackets with Dainese’s integrated D-Air® technology, a proprietary wearable airbag system providing unmatched protection for riders, are on display and available.